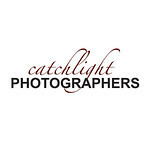 At Catchlight Photographers, our mission is to provide you with the best possible photographs we can to meet your needs. We want you to love the photographs we take and will work with you to understand the type of images you envision and do our best to give that to you. We specialize in headshots, portraits and general photography services, and work primarily in Central and Eastern Massachusetts. Our studio is portable, so if you cannot come to us, then we will come to you!